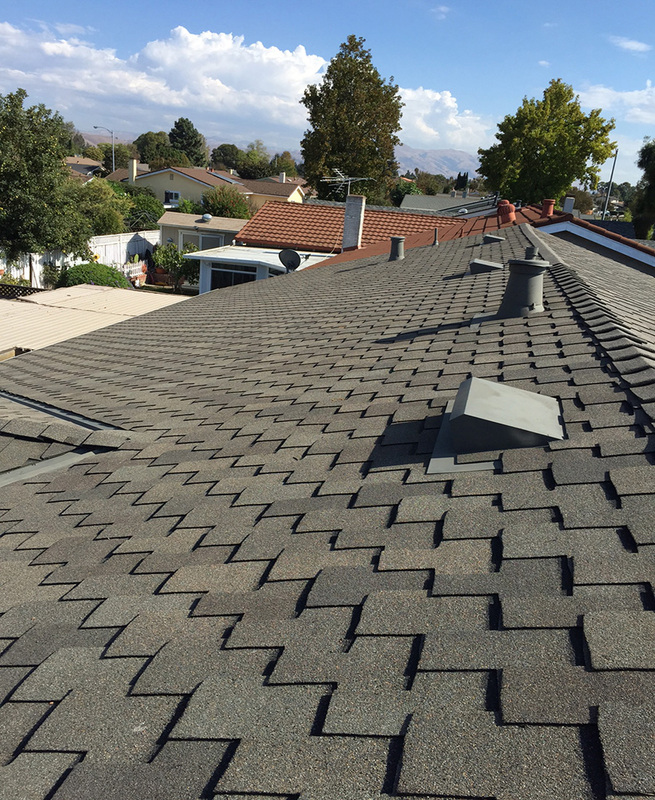 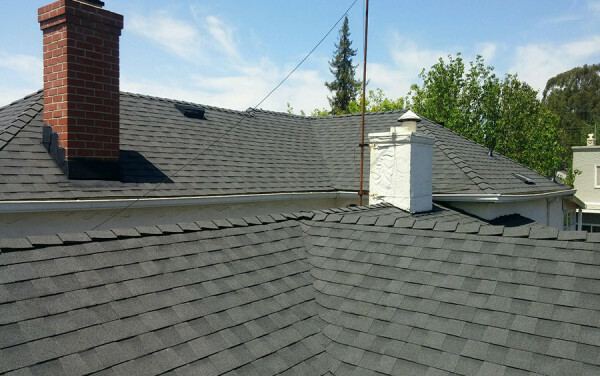 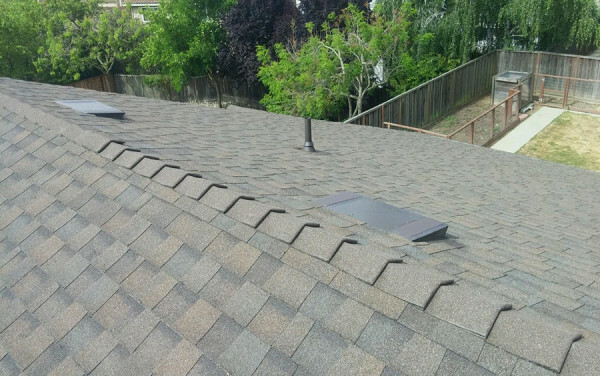 This home belongs to one lucky homeowner who got his roof replaced right before a rain storm! 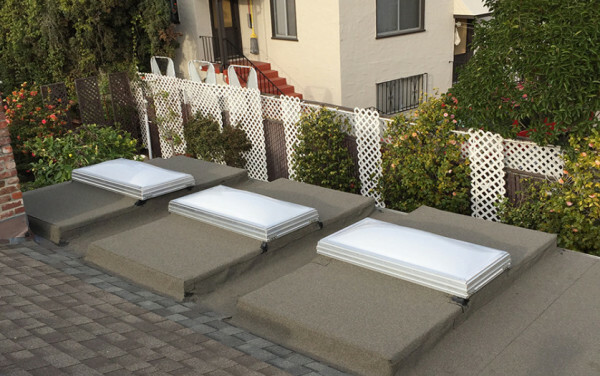 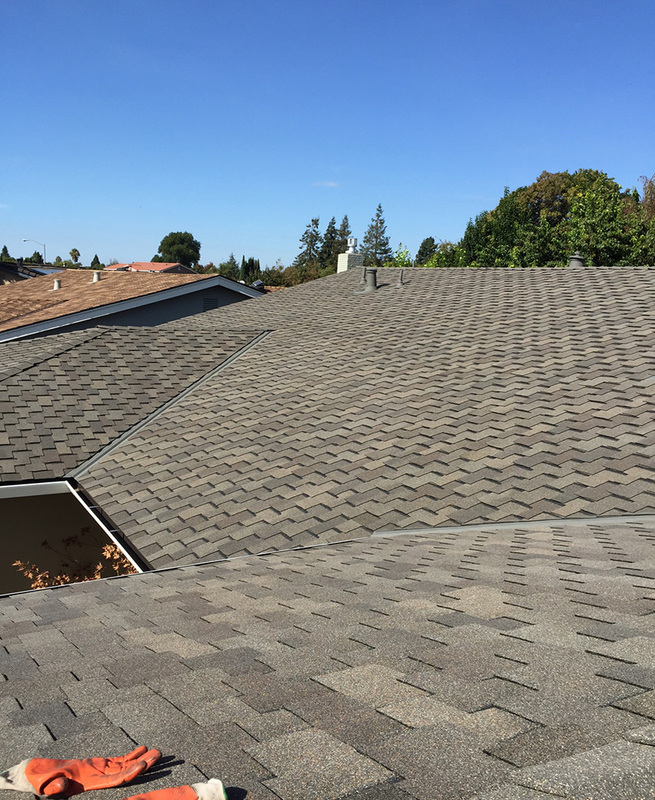 We installed 3000 sq. 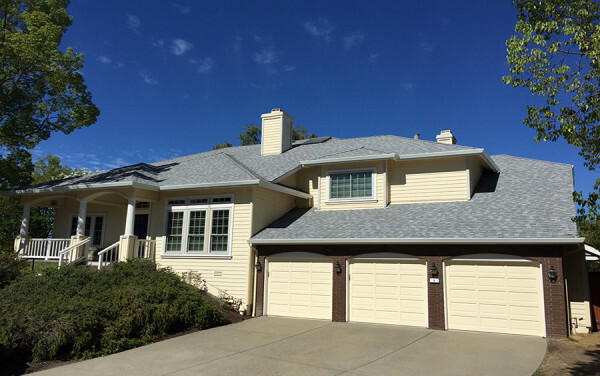 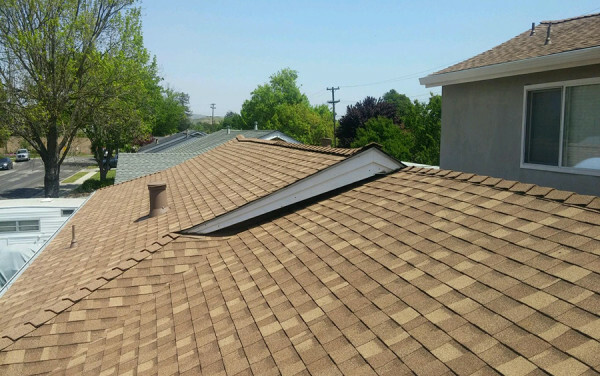 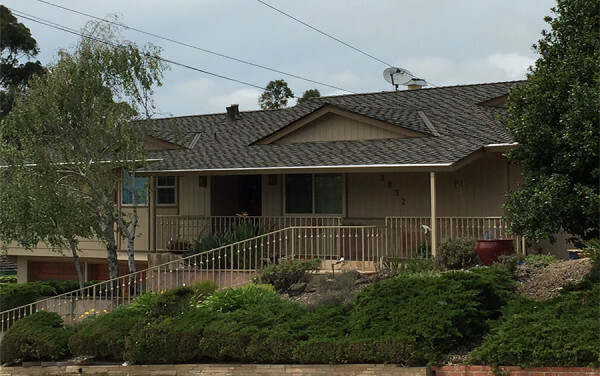 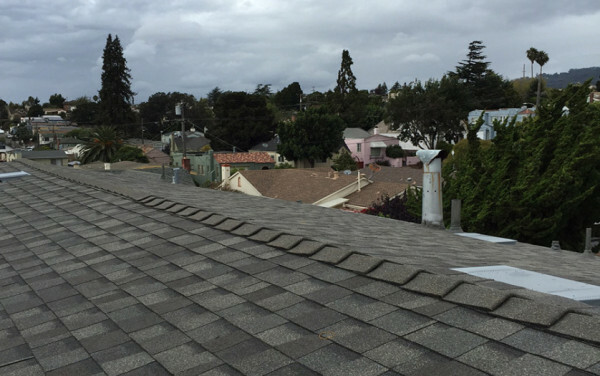 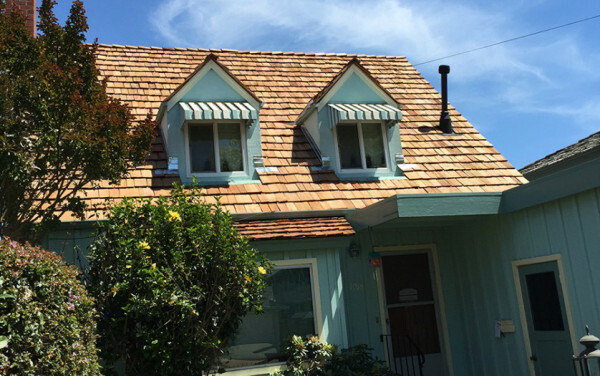 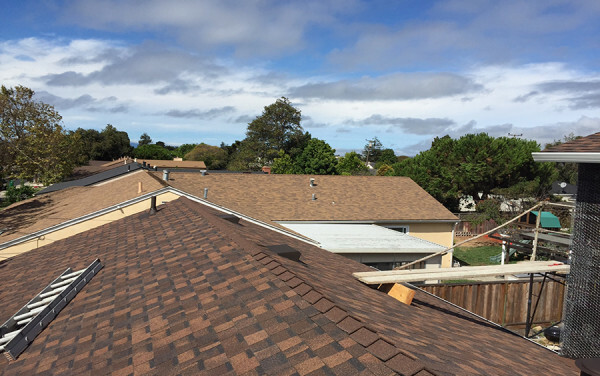 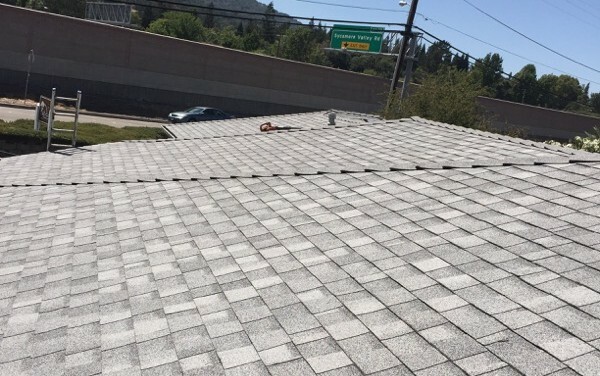 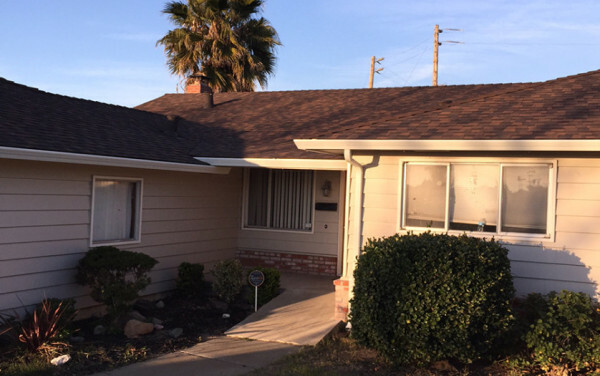 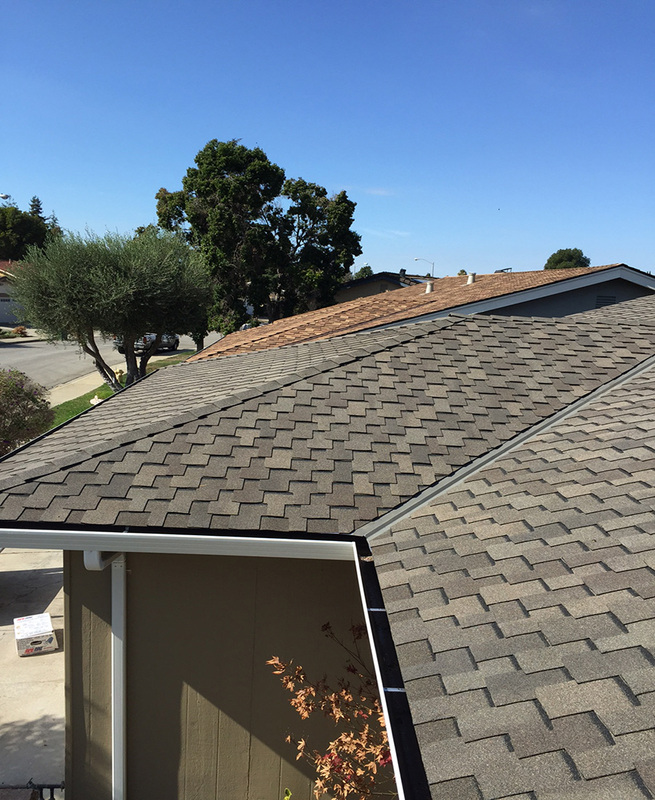 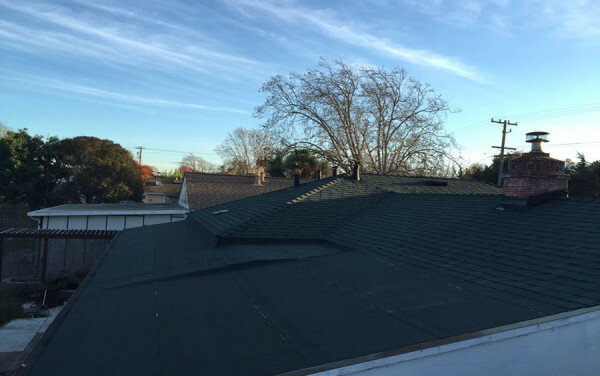 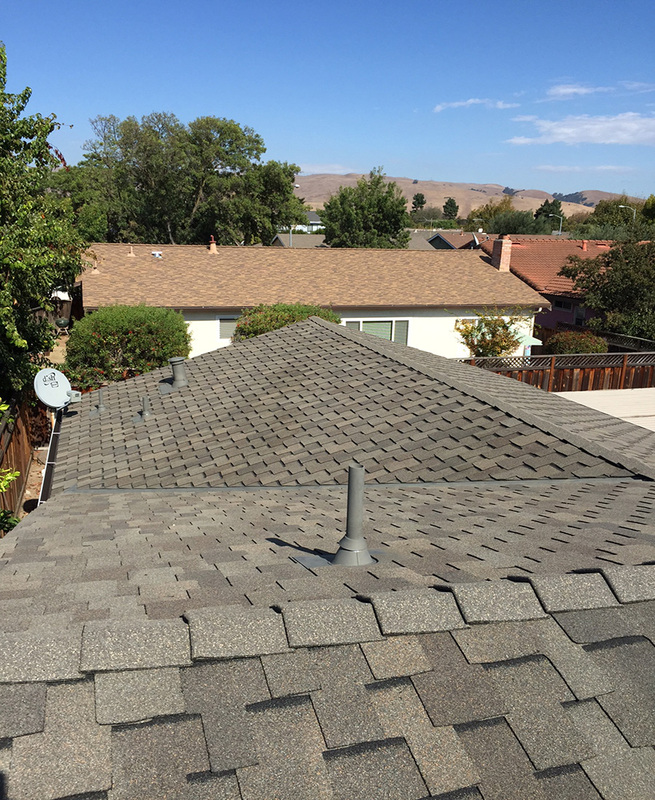 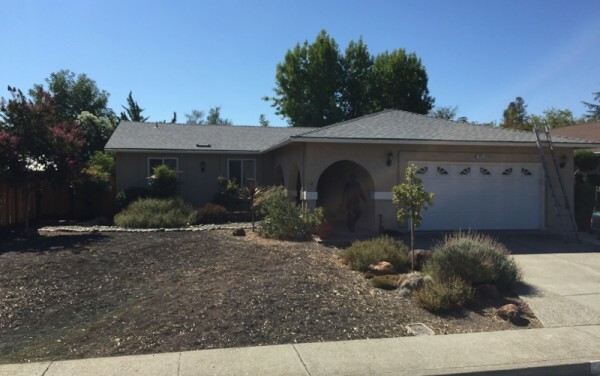 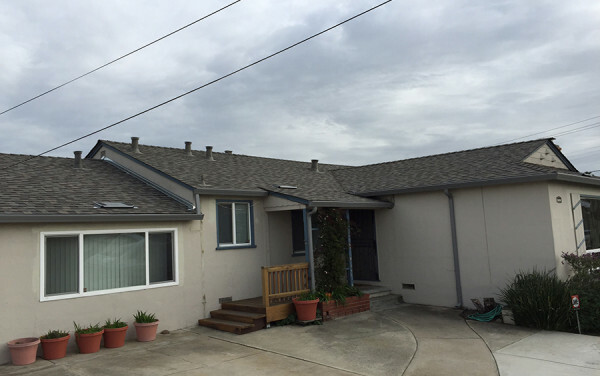 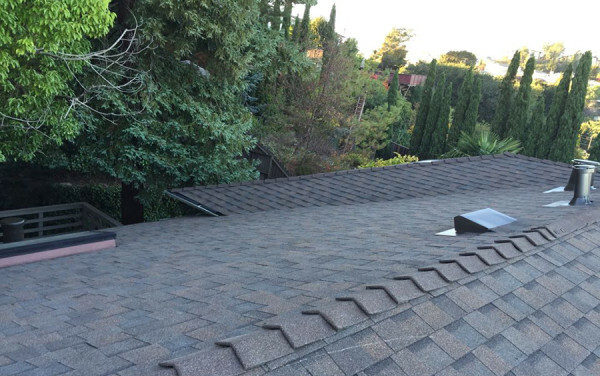 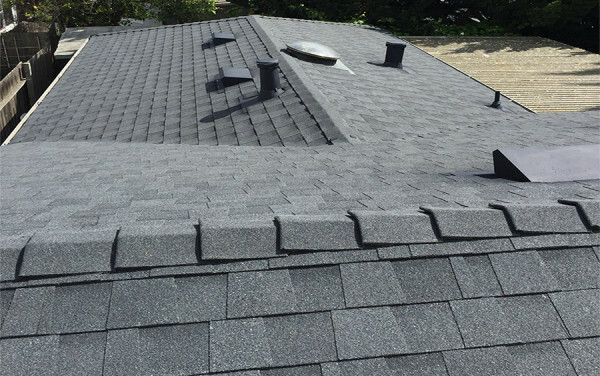 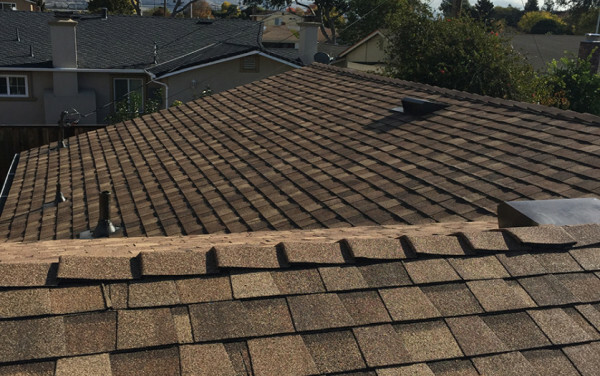 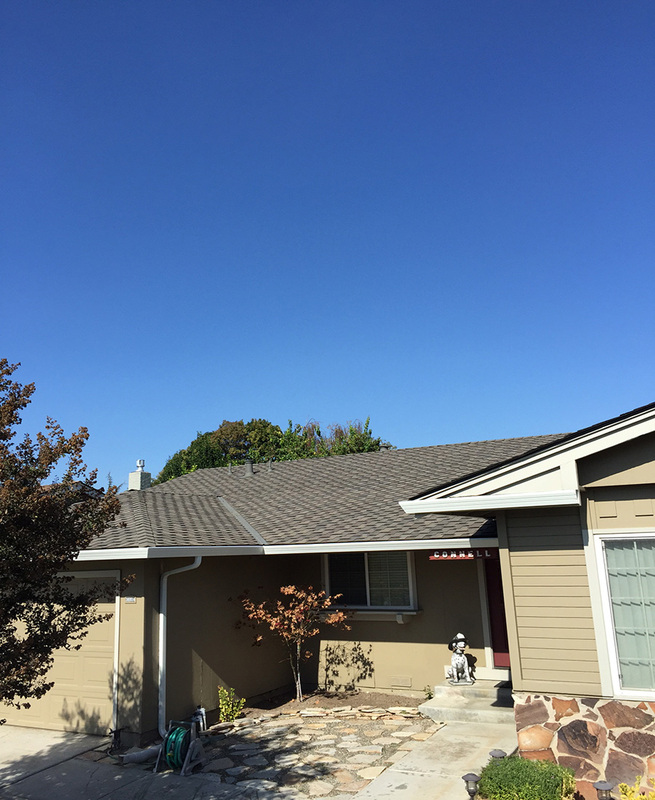 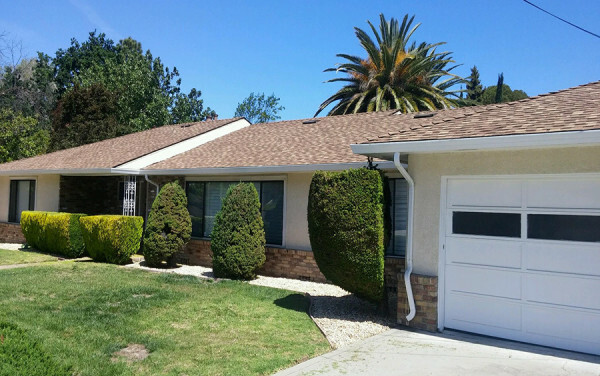 ft. of Grand Sequoia shingles by GAF (color: weathered wood) on this home in the Brookvale neighborhood of Fremont, along with new gutters (color: low gloss) and downspouts (color: white). 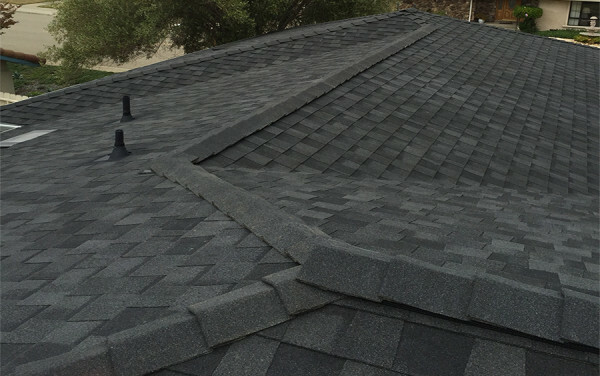 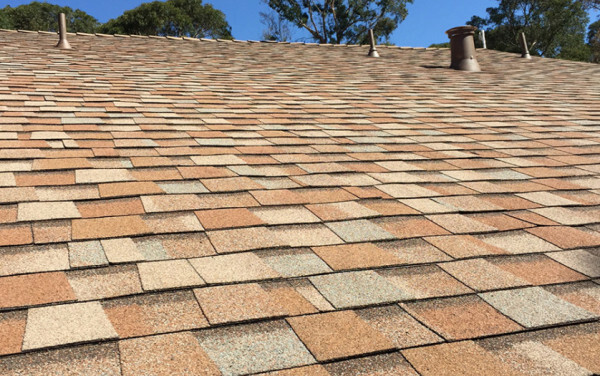 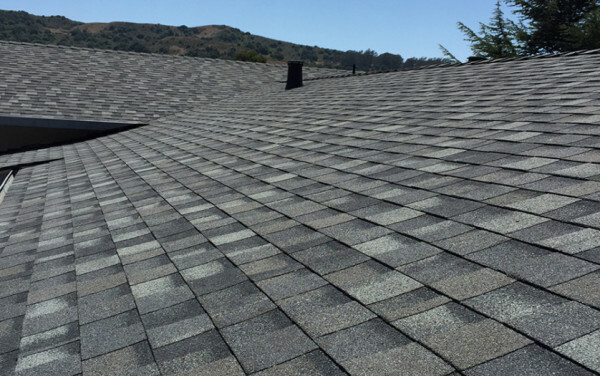 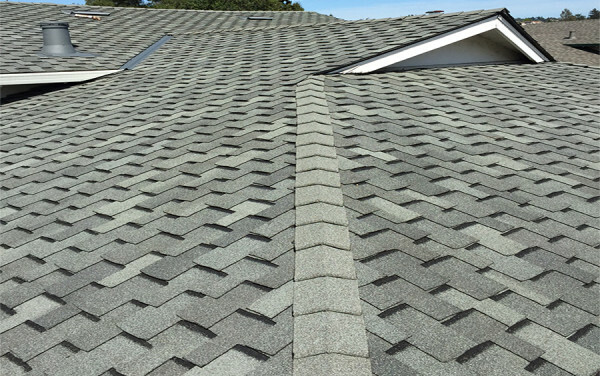 According to GAF, this type of shingle is larger and thicker than most. 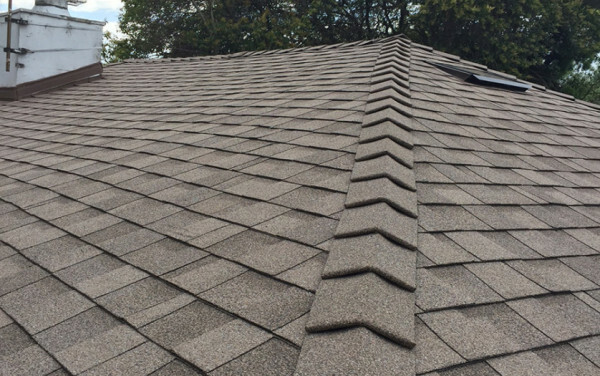 Additionally, it offers a more affordable option to traditional wood shakes, without sacrificing any quality or aesthetic appeal.